With cool weather upon us, now is the time to have maintenance on your building’s chilled water system. 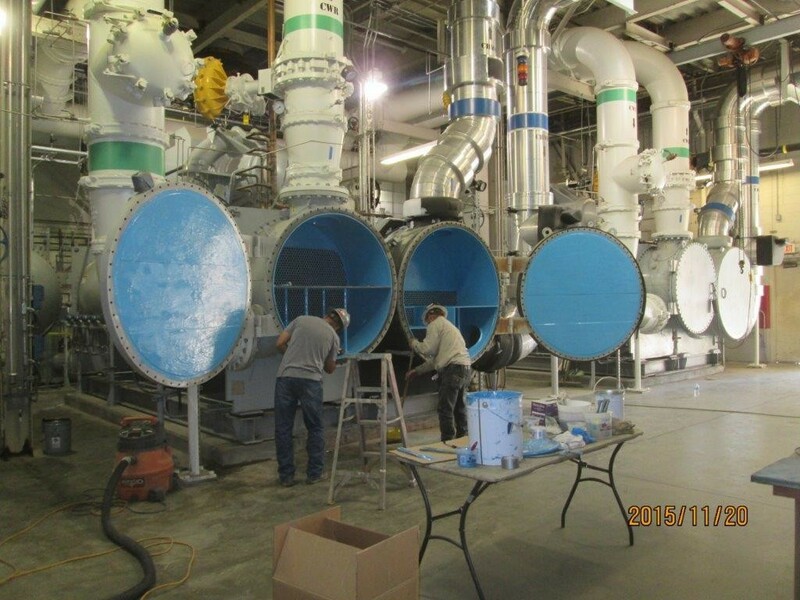 If your chiller, condensate pans or cooling tower could use a coating system to protect and preserve your equipment, contact us today! We probably already work for your chill water maintenance provider, Carrier, JCI-York, Daikin-Mcquay, Trane and others. Plant Equipment & Services uses the highest quality of products and offers the best service and warranties compared to anyone else in the industry. Due to new developments in centrifugal chillers with magnetic bearing chillers, and new monitoring technologies, chiller maintenance has advanced significantly. The industry has been moving toward demand maintenance programs and away from pre-determined scheduled maintenance, as a result of remote monitoring. Whichever program you choose to use, here are 10 maintenance tips that apply to most chillers to help maintain high efficiency. 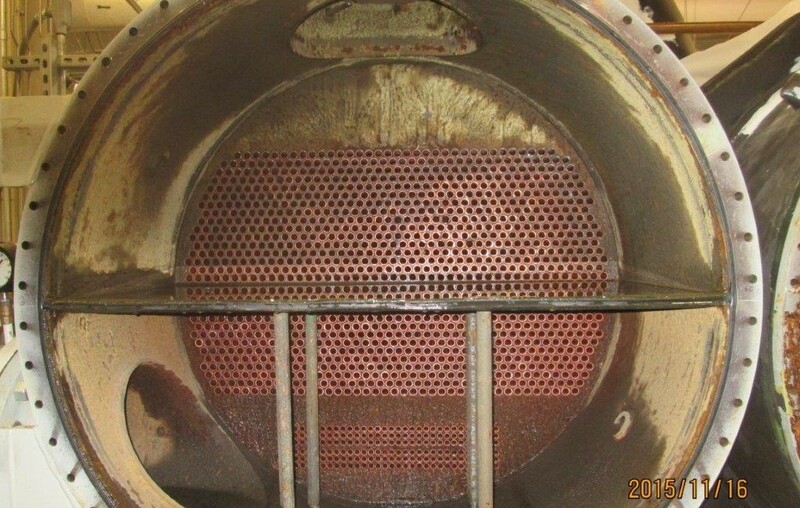 The first step toward maintaining an efficiently-run chiller plant is keeping a daily log. This log allows you to build a history of operating conditions including temperatures, pressures, fluid levels and flow rates. With remote monitoring technologies, you can continually check machines rather than monthly or every other month. It also allows you to easily generate trend reports that help to identify maintenance needs before they become an issue. Because heat transfer efficiency has the greatest single effect on chiller performance, it is fundamental to have clean heat transfer to maintain high efficiency. 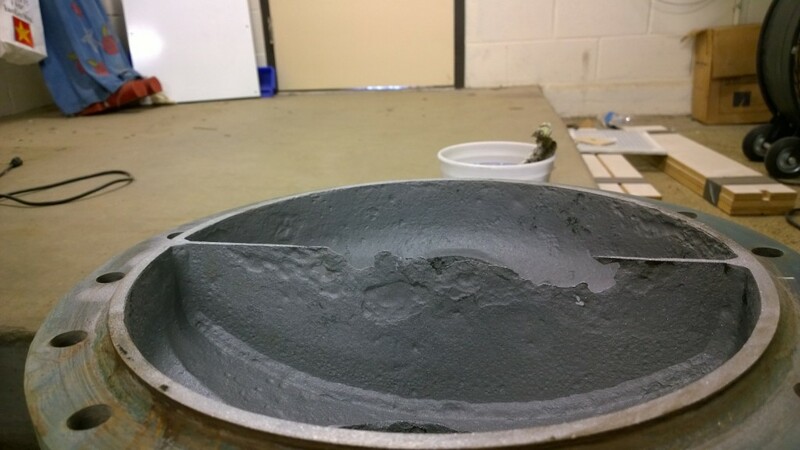 Thermal resistance is increased, while overall performance is reduced with contaminants such as minerals, scale, mud, algae and other impurities. A good indicator of heat transfer efficiency are the approach temperatures. High approach temperatures are key indicators that heat transfer efficiency is decreasing. 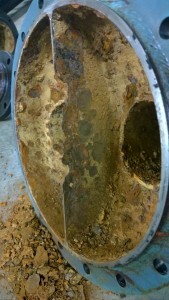 Condenser tubes should either be brushed cleaned at least annually, or per demand maintenance schedule to keep them free of contaminants. 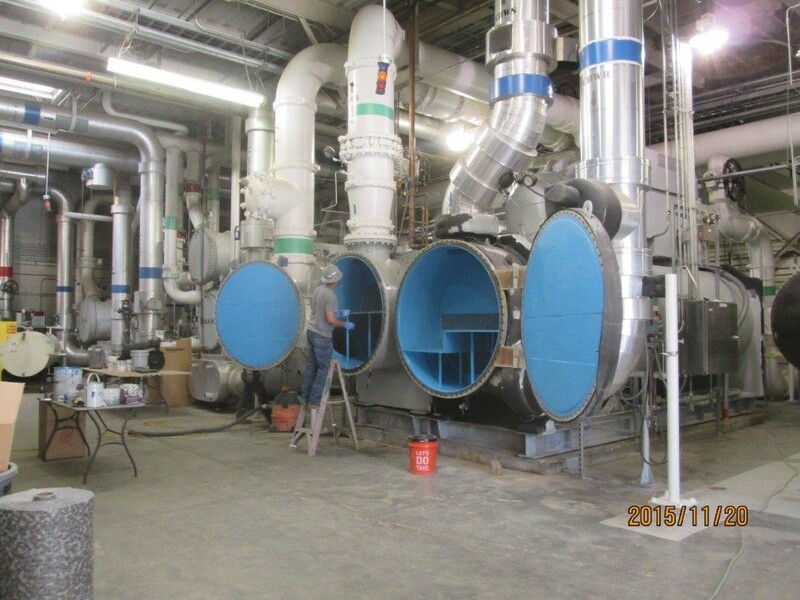 Water treatment of some sort to eliminate scale, corrosion and biological growth is required for all condenser water loops using open cooler sources (such as atmospheric cooling towers). 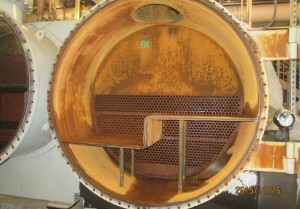 These all lead to fouling in the condensers, thus impeding heat transfer and decreasing tube and piping effectiveness. 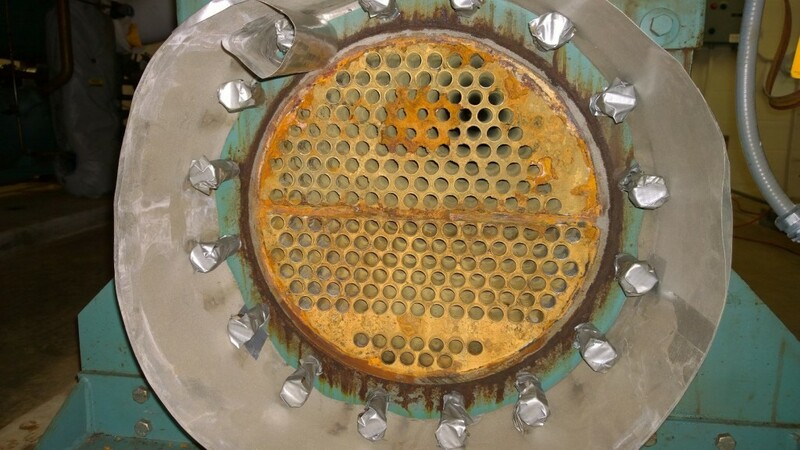 Chilled water loops should be inspected once a year or regularly with remote monitoring for general water quality and evidence of corrosion. 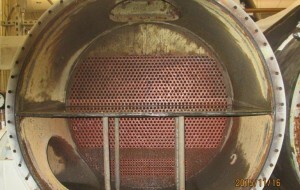 You can improve the chiller’s efficiency by lowering the temperature of the entering condenser. The operator will lower the chilled water set point on some building systems to overcome air handler deficiencies such as dirty coils. Although this cures the symptom, it does not cure the problem, and makes the chiller work harder for the same net cooling effect. 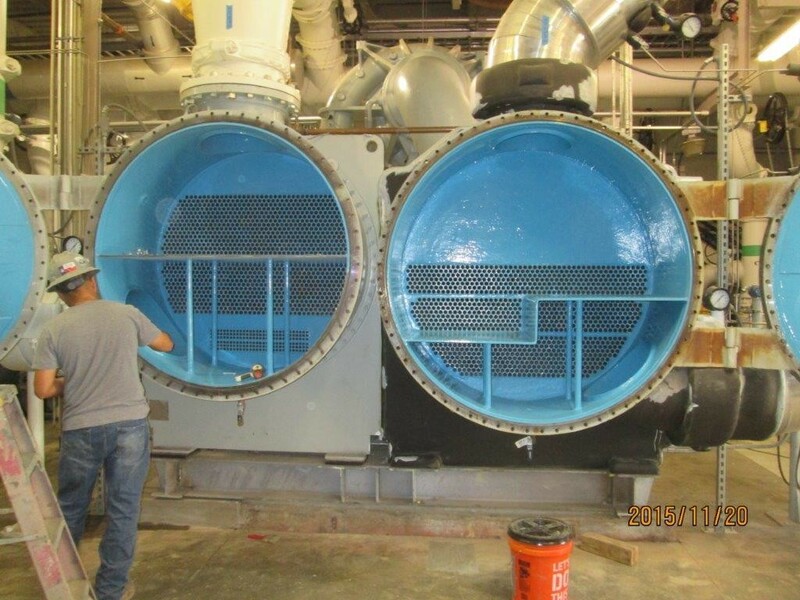 The chiller’s performance can be affected by changing the chilled water flow rate. The chiller efficiency can decrease if there is too low of a flow rate, ultimately leading to laminar flow. Typically, the minimum flow rate is around 3-ft. per second (FPS). 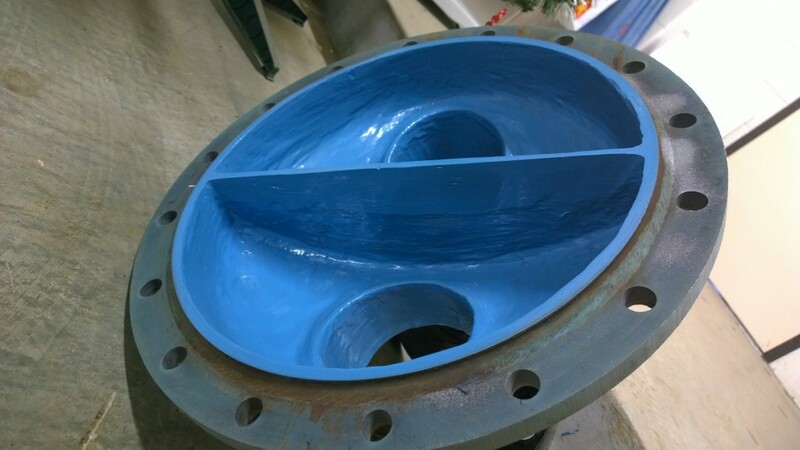 If the flow rate is too high, this can lead to vibration, noise and tube erosion. The maximum recommended flow rate is usually around 12 FPS. The actual amount of cooling a chiller provides is dependent on how much refrigerant it moves through the compressor. It is critical to maintain the proper level of refrigerant for the conditions desired. Efficiency and reliability of the system can be decreased by refrigerant leaks, as well as air and moisture introduced into the system. Having a lower refrigerant charge will cause the compressor to work harder for less cooling effect. Because their evaporators operate in a vacuum, non-condensables such as air and moisture leak into low pressure chillers. The real efficiency of the chiller can be lowered from the rated performance by as much as 4% at 60% load and 7% at 100% load by non-condensables. The effect of non-condensables can be minimized by purge units. Check the safety and sensor calibrations on microprocessor controls (consult manufacturer’s guidelines) for efficient operation of starters and motors. Once this has been done, check electrical connections, wiring and switchgear related to the chiller for hot spots and worn contacts. Test electrical motor windings for insulation resistance to ground and winding-to-winding to prevent insulation faults. 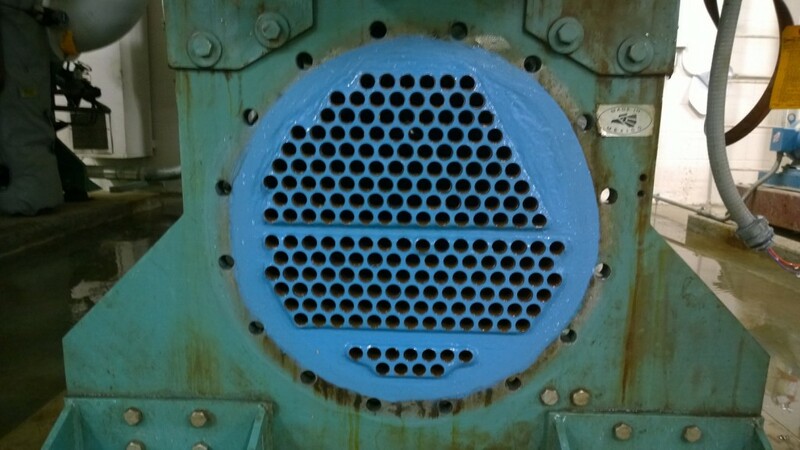 The shaft seal of open driver motors should be checked for possible refrigerant leaks, and clean motor cooling air vents to ensure maximum cooling effect. PES 201: a ceramic filled paste that helps build up the tube sheet flush with the end of the tubes, and any irregular surfaces caused by corrosion and erosion. PES 202: a ceramic filled brushable coating giving a chemical and abrasion resistant surface. PES 203: a ceramic filled brushable fluid that leaves a smoother than polished stainless steel finish. 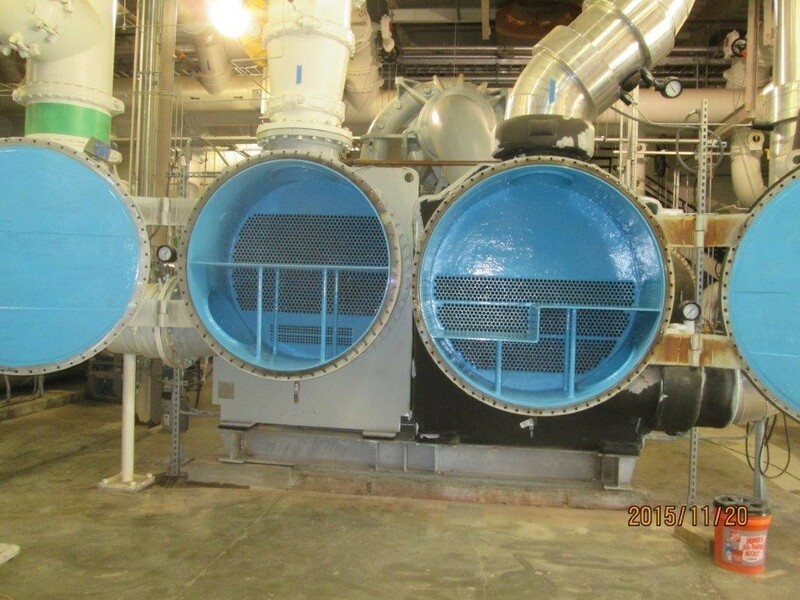 This entry was posted in Chillers, Cooling Towers and tagged Ceramic, Chillers, Coating, Cooling Tower, Corrosion, Corrosion Resistance, PES Solutions, Protective Coatings. Bookmark the permalink. I never considered keeping the tubes on my carrier cooler system clean and that it would be a good idea during the winter. I will have to speak with a professional about maintaining mine as it is new. Thank you for posting ways to prolong the life of my investment.